â€¢ All persons residing in Maryland must purchase federally approved health insurance in the open enrollment period. If you choose to go without insurance, without federal exemption, you will charged a penalty. To read more about penalties for the uninsured please read the article Affordable Care Act: Penalties for the Uninsured. â€¢ There is an initial 6 month open enrollment period without penalties from October 1, 2013 to March 31, 2014. After the first year, the open enrollment period is 3 months. Contact 800-930-7956 extension 0 for assistance signing up. 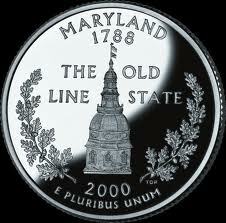 â€¢ All Maryland residents are eligible for healthcare, regardless of a preexisting condition. To learn more about this read the article ObamaCare: Guaranteed Issuance for Everyone. â€¢ Federal subsidies are available for those who earn up to 400% over the federal poverty line, this figure will cover, but are not be limited to, 87% of the currently non-elderly uninsured residents of Maryland. To learn more about subsidies and find out if you qualify for one read the article Health Care Exchange Subsidies: Do You Qualify? To learn more about the impact of ObamaCare on Maryland please call 800-930-7956 the number above or contact Medicoverage: ObamaCare MD.